Home > Respiratory Supplements > Can Flax Seeds help Alleviate Coughs? For a plant used primarily to make cloth, the humble flaxseed has an unusual history. Legend has it that a goddess taught us mere mortals to grow flax, spin it and weave it into cloth, and that seven-year-old children who danced amongst flax plants were thought to grow up into beautiful beings. It also has a distinguished history of medicinal use, being used primarily as a laxative and cough suppressant. Flaxseed or oil made from the seeds, known as linseed oil, has been used for hundreds of years to treat coughs and other physical conditions. In traditional folk medicine, the herb was boiled and used to treat respiratory ailments of many kinds, as it is purported to soothe irritated membranes and tissues. One of the most versatile herbs in existence, there is almost no part of the flax plant that has not been used to human benefit! Flaxseed oil contains an acid called L-glutamic acid, which is known for its lubricating and soothing qualities. As a herbal supplement it can be used to help make the symptoms of tonsillitis better, as well as help with sore throats, colds and coughs. 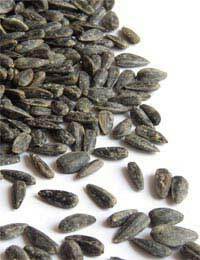 Additionally, an infusion of the seed is rich in mucilage, and thus can be a fantastic home remedy for coughs, colds and related respiratory ailments. Compared to fish oils, flaxseed herbal supplements are a much, much richer source of alpha-linolenic acid (ALA), which is the main compound of omega-3 fatty acids. ALA is thought to help reduce the risk of stroke as well as cardiovascular disease. Linseed oil made from flaxseed can help alleviate constipation. Is also used to treat symptoms of diverticulitis and spastic colon. The ALA in flaxseed can aid in bolstering the body's immune system. Crushed flaxseed can help as a poultice to treat abscesses. L-glutamic acid, present in flaxseed oil, has been shown to help treat mental deficiencies in adults. Flaxseed has a high nutrition content, containing amino acids, minerals and vitamins A, B, D and E. Some people take it as a natural herbal supplement to improve their daily intake of nutrition. As there is a possibility of being hypersensitive to flaxseed, be careful. Caution is advised for women who are either pregnant or breastfeeding. It has also been known to interact with other medications, such as anticoagulants, as it can decrease the number of platelets in the blood. It can also interfere with the absorption of other medications. Always consult a doctor who knows your full medical history before taking any herbal supplements. Flaxseed has been known to have many benefits. For people who shy away from taking prescribed medication, it has been proven to help alleviate coughs and other related respiratory problems due to its soothing, lubricating effect on sensitive membranes and tissues. For a herb that is also used to make linen sheets, it certainly has many uses!